Custom Smoke Shelter | BIG Enterprises Inc.
A customized, yet cost-effective shelter. The customer needed a Smoking Shelter, and originally hired an architect to design it, but conventional construction was way over budget. B.I.G. 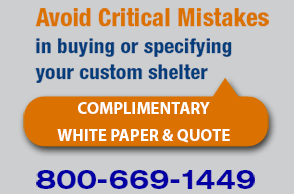 Enterprises, Inc.™ built the shelter to the customer specifications at below budget.